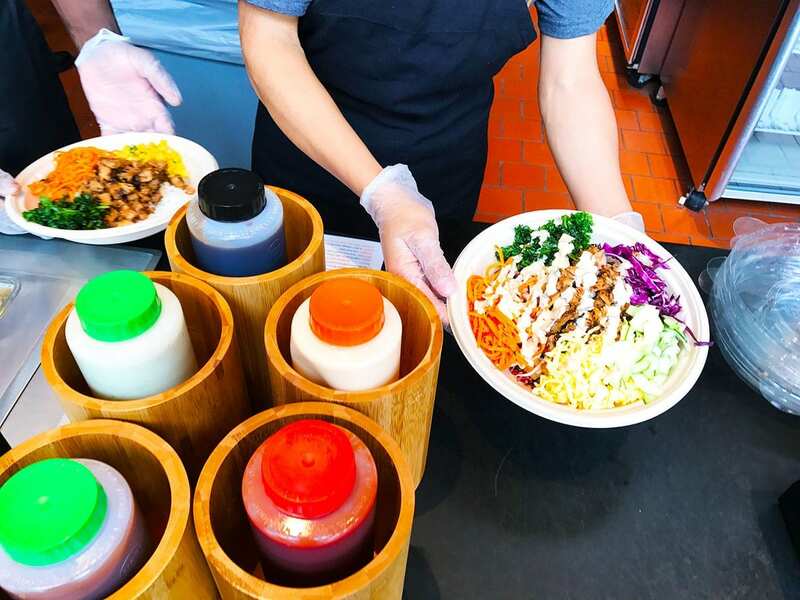 There is a new casual fast food lunch spot Bibibop and they serve an excellent Bibimbap (4 NOMs) which is quickly becoming must try in Washington DC metro area. This chain quickly taking over the area as a newcomer to the area serving up a great lunch and dinner for all those hungry nomsters. In past couple of months, they opened several locations so there just might be one near you. 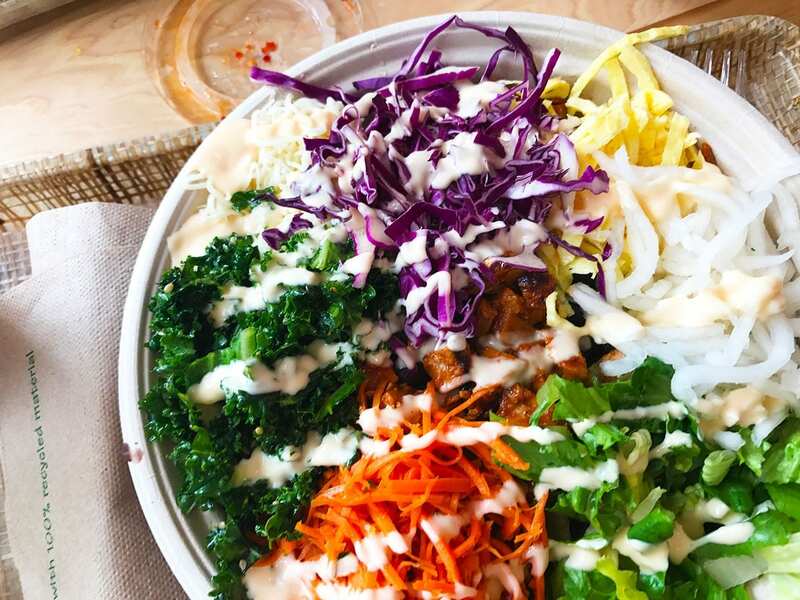 Bibibop may sound a bit like Shophouse which recently closed all their location. 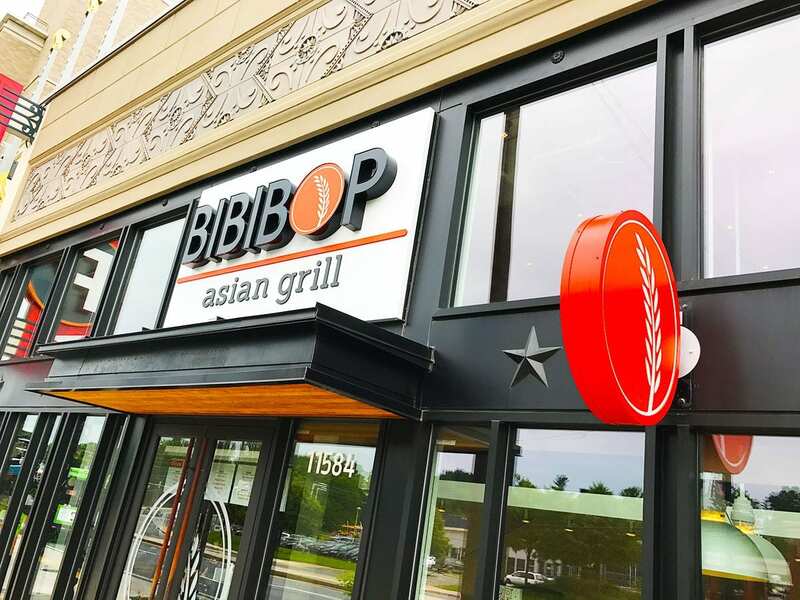 Funny thing Silver Spring Bibibop actually took over from Shophouse. 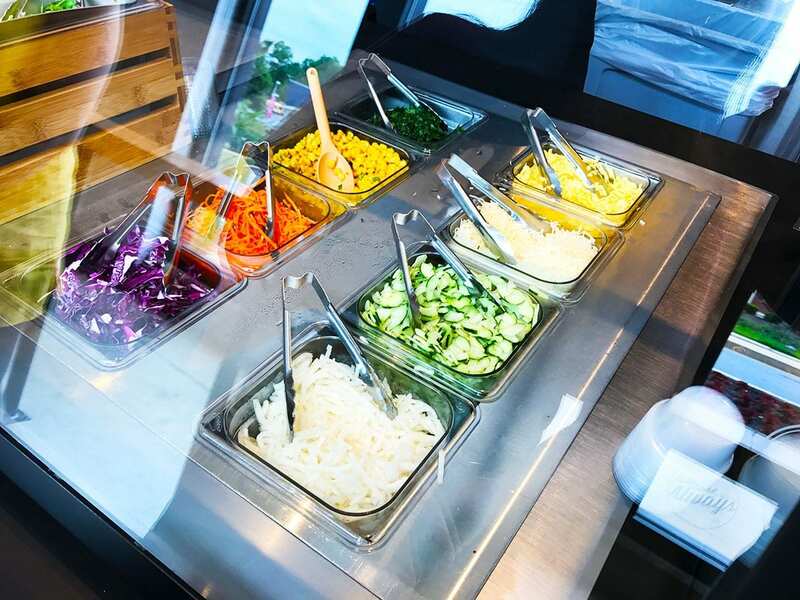 Unlike the failed endeavor by Chipotle, Bibibop won our hearts and tummies in the first bite. So much that we’ve already visited their locations 3 times in Rockville Pike & Rose and Down Town Silver Spring. Thye might be new to the area, but bring big competition and all other lunch spots should be worried. 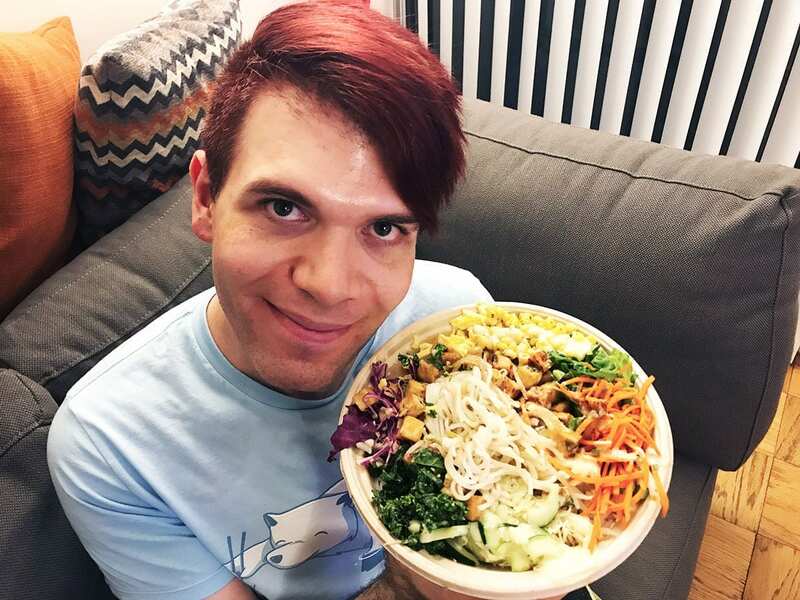 Bibimbap is coming for them! Just in case, you can skip to the dish review below. In case you don’t know, bibimbap is a South Korean rice bowl dish that often served with a different veggie, meat, and sunny side up egg on top. Let’s just say we are big fans of this dish so we have high standards. At this place, they were able to capture the essence of this traditional dish and make it into a good fast food nomnom. Of course, this is not a high-end restaurant, so one has to remember they are eating at quick serve place. Though you won’t hear us say no to anyone who suggests going there. 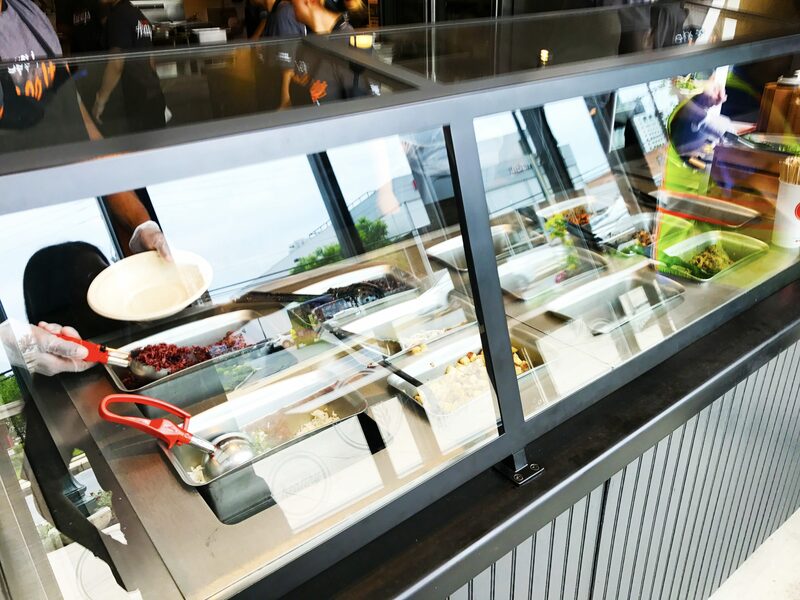 Let’s talk about the ordering processes which is similar to many builds your own fast food places. Start off by picking your bowl size with regular or small where small is still enough to fill you up. We’ve had a regular sized bowl every time and never felt overly too stuffed. You get to choose your base either its rice, purple, rice, salad or noodles. We just fell in love with their purple rice it that good and ordered it with every bowl. A Nice tip is that you can mix two bases together like purple rice with noodles. Then you get a choice of different meats or tofu as well as other toppings like potatoes, daikon, kale, and more. You must never forget an egg. One thing that is different is that egg is diced and not sunny side up. It would be hard to make so many eggs and trust us it still taste great. 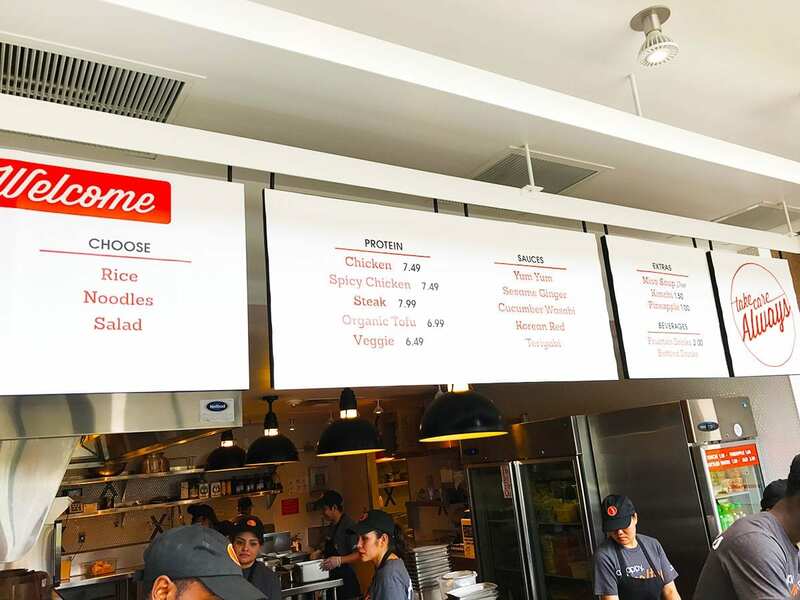 For those extra hungry can also order sides like kimchee and edamame. The final step is to pick from several great sauces like cucumber Wasabi or Yum Yum sauce which are our favorites. Don’t worry if you are not sure about the choice, all of the sauces available for free so make sure to get a few to try. The saucier you get the better. 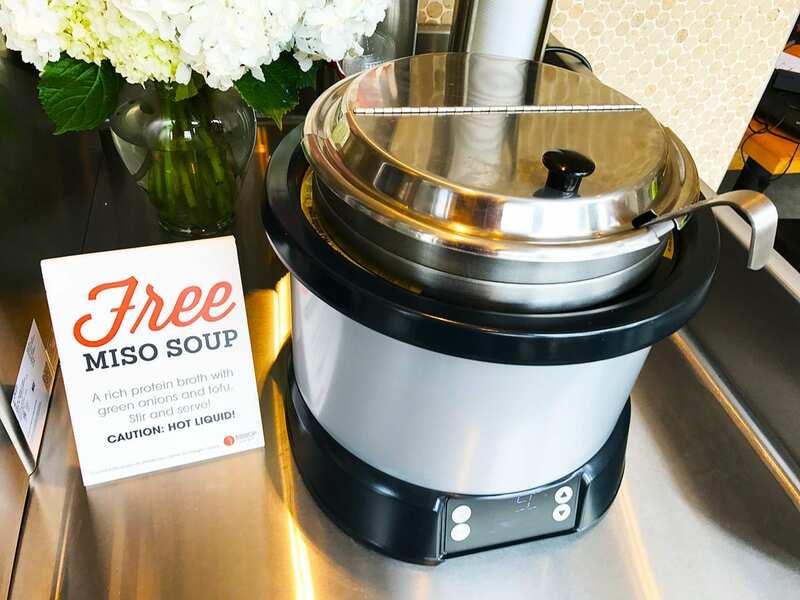 You can also get a bowl of free miso soup just in that rare moment you might be still hungry. Purple rice is like magic and surprisingly this casual fast food place makes it on par with many other more fancy places. Goes so well with any protein or sauce and this time we are going vegetarian with Tofu. Doesn’t hurt sometimes to go outside the meat box. Their organic tofu is just as good as all their meaty goodness. Medium size cut they are fried and a little crispy without being too oily. We tend to not order potatoes very often, but here they are so good we just had to. Even if you add every single topping you can still taste them. They are really worth it. We also added bean sprouts, daikon, cucumber, carrot, corn, cheese, and of course eggs. Combined with all other toppings our sauce of choice here is Korean Red. Red for a reason, it has quite a kick to it. So make sure not to add too much. Can’t make up your mind, no worries mixing is allowed like putting together Purple Rice and Noodles in one great bibimbap lunch bowl. Their purple rice is so addicted that we couldn’t pass up to order it again and again. Though this time wanted to try something new as well, so both it is. The Nice thing when you order two bases you are charged for one and you might just get a bit extra food since they are not measuring it as much. We went with their standard toppings like carrots, kale, cucumber, red cabbage, cheese, and eggs. Never forget an egg when it comes to ordering a bibimbap. In another bowl creation, we also tried their potatoes which were great. That’s one of the things we like about this place so much, even with so many toppings together, you can still taste everything. Everything portioned the same so no ingredient overpowers the other. You might not taste the kale as much since it has smaller flavor profile, but really we eat it for health reasons and not taste. While we went with Yum Yum sauce which is very light and creamy, we added Cucumber Wasabi for that nice extra kick. Which might just be one of the best sauces you will ever taste. The two sauces go so well together that they only made the dish so much better. Though everything tastes so good you might not even need any sauce. However this is not the crazy world, so sauce it is!